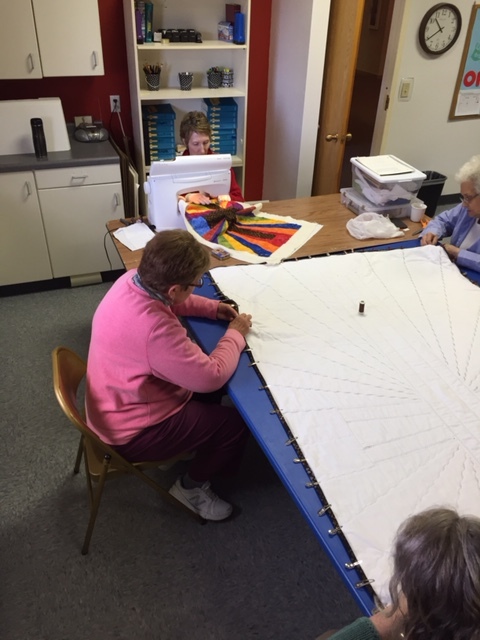 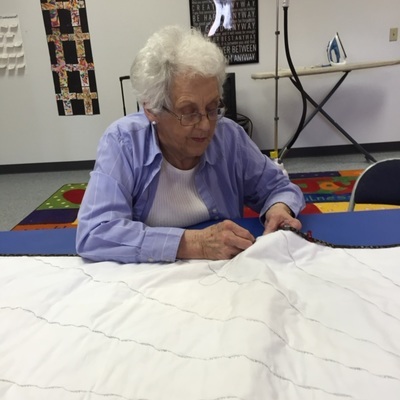 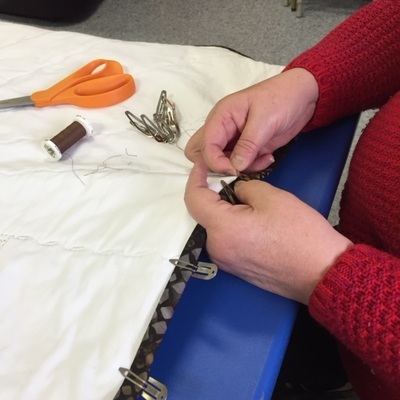 The All Saints Banner Team was formed in 2014 to make banners for the church. 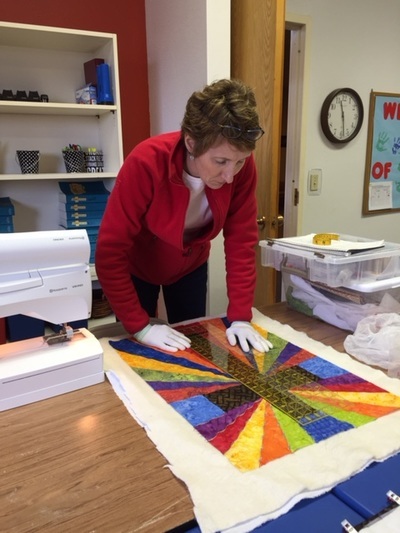 The first project was the large rainbow cross banner and two smaller banners to go on the pulpit and podium. 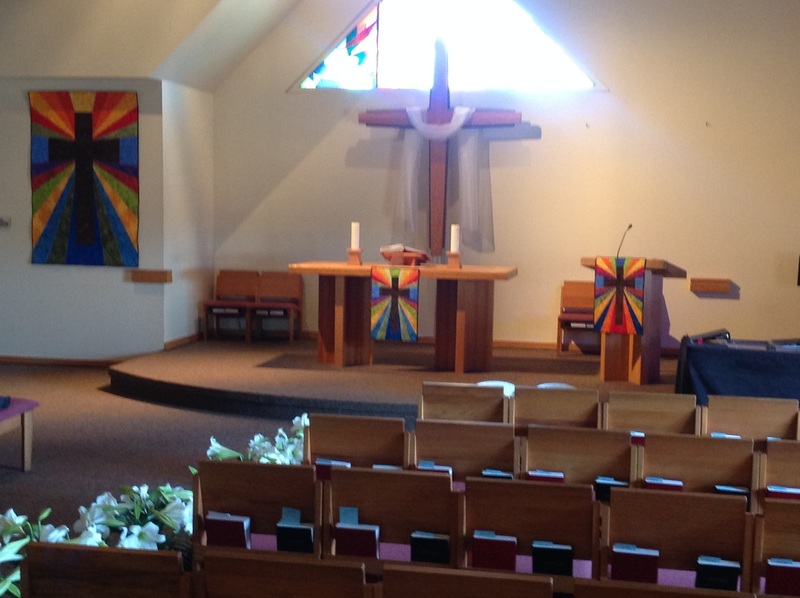 The banners were installed on Easter Sunday, 2015. 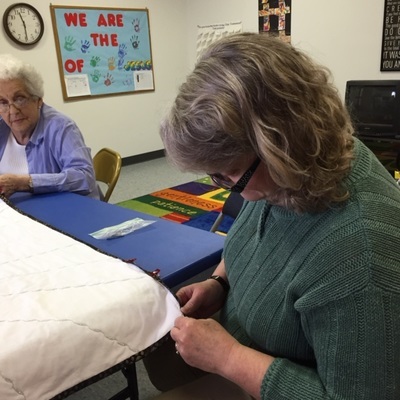 The banners are quilted projects rather than the felt banners we had in the past so they last longer. 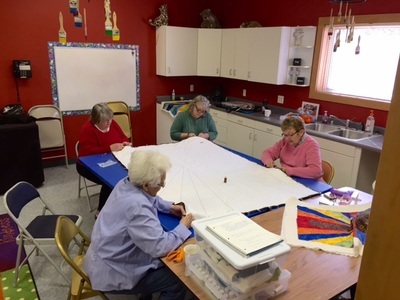 The current project is a banner for the west wall of the sanctuary. We welcome members (women and men) to the Banner Team to help construct the projects. To join this team, please call the church office at (608) 276-7729.